Angry Birds: BirLd Cup tests kids and pros in soccer-themed challenges. If your kids love Angry Birds, they’ll want to check out a new YouTube show called Angry Birds: BirLd Cup. Inspired by the upcoming World Cup, the show can be watched on YouTube and the YouTube Kids app, YouTube’s kid-friendly application that features content that’s safe for kids. Angry Birds: BirLd Cup mixes animation with live action segments, as the Angry Birds are hosting a soccer competition starring professional soccer players from around the world. In each episode, kids team up with the pros to complete soccer-themed challenges. Angry Birds: BriLd Cup will have new episodes every Wednesday and Saturday through July 13, and the first episode is available to watch now. 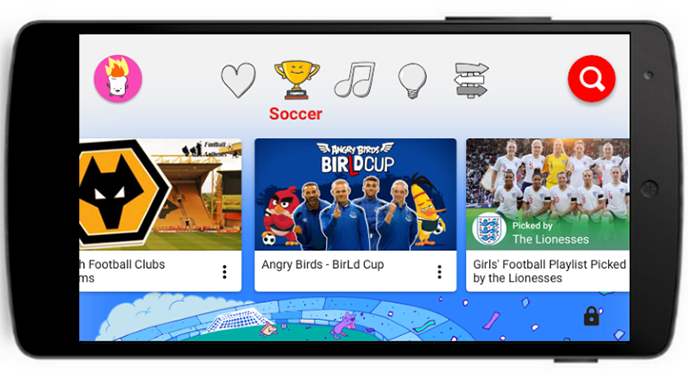 Until July 16, soccer-loving kids can check out more soccer-themed content by going to the soccer tab in the YouTube Kids app.